Affiliates are our partners and we want them to make money too! That is why we offer the highest marketplace commission percentage. All affiliates will receive 10% commission for every generated booking. We are always on the hunt for creative websites, influencers and blogs from around the world in our field. Specifically, we are very interested in those that are focused on adventure, outdoor lifestyle, travel and action sports – to join our global affiliate programme. Recommend Thrillism and our adventures through your website, email list, social networks, blogs, articles, and banners and get paid. To join our affiliate programme now, please send us an email on mikael@thrillism.com and we'll get you started. 1) How do I join the affiliate program? Please send us an email on mikael@thrillism.com and we'll get you started. 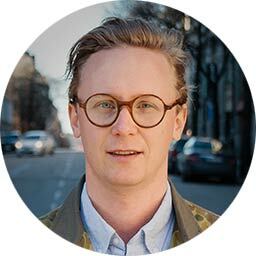 Our Founder, Mikael Uusitalo will review your application within 24 working hours. After signing up, you'll be provided with text links, banner ads, and other marketing materials you can use to promote Thrillism and our adventures. When someone clicks through your link or banner, a cookie is set to remember that you referred that customer. If they sign up for an account within 3+ days and become a paying customer, you'll earn a commission for that referral. How do I contact Thrillism if I have questions about the affiliate program? Here you can find more info about our affiliate program. Still can't find the answer you'r looking for? Contact our founder Mikael directly, mikael@thrillism.com. Join the best affiliate program for Adventure travel now!